Are Online Games Family Friendly? Most parents would love to enjoy quality time with their children. The idea of adults, teenagers and younger children getting along and having fun together is an image that many parents long for. My wife and I have that desire for our family, but sometimes we need help to achieve that goal. 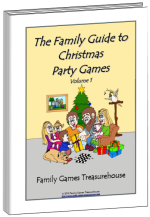 Many websites promote "family friendly" games that can be played over the internet or downloaded. 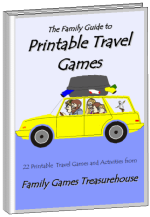 These computer-based games may also be marketed as "family safe" or simply as "family games". I see these sites and ask myself, "Is this true? Are online games family friendly?" The term "family safe" can be defined as supporting the moral values of the majority of parents and families. This means that values and behaviours such as gambling, illegal drugs, excessive violence and so on are not promoted or allowed in these games. However, some online games which are classified as "family safe" will still show violence in some form and may involve shooting or otherwise injuring animals or aliens (as long as it is not people who are hurt!). 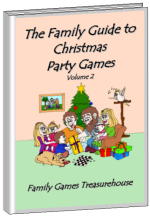 The term "family games" is even broader and can include games which anyone in the family may enjoy, whether those games are "family safe" or not. They may include games which promote illegal or immoral behaviour, such as driving a speeding vehicle on public roads or trying to escape the police. Most online games are played solo, with one player competing against the computer or against a high score or their own best score. Very few computer based family games allow multiple players to interact and play together. If "family safe games" and "family games" are inadequate descriptions of the type of games we would like our families to experience, what exactly should we look for in "family friendly" games? 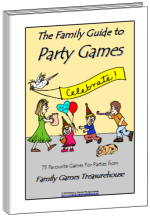 Family friendly games are those which are family safe, but go beyond that to actively promote good family relationships. They should avoid negative values and behaviours, but should also include aspects which affirm positive family values. Some of these values include caring for each other, having fun together and providing interaction between all members of the family, no matter what their age. In other words, enjoying each other's company! For these reasons, online games cannot be really classed as family friendly. While some internet games may be family safe, they do not provide the camaraderie that goes with the whole family playing a game together. They do not provide opportunities to care for each other and enjoy being with each other. If online games are not truly family friendly, what games are? 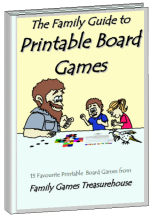 Why not try some old fashioned games where a family sits around a table and plays cards or a board game? Parlour games and outdoor games, dice games and dominoes. Opportunities to spend time together, laugh together and care for each other by helping one another throughout the course of the game. Quality time, with adults, teenagers and younger children getting along and having fun together. A weekly time of family togetherness around the table after a meal, where a game or two may only take an hour, can provide long term benefits that will only be measurable long after the games themselves are forgotten. As an example, our family recently played the simple word game Dumb Crambo. Our oldest son left the room while the rest of the family chose a word ("Five"). When he returned we did not tell him the chosen word but told him a word which sounds like it ("Hive"). He then had three chances to act out a word sounding like "Hive", hoping that one of them was the chosen word. He acted out "Dive", then "Drive" before he mimed the correct word "Five". We hissed and booed at his wrong guesses before we finally applauded and cheered as he acted the correct word. We all took turns trying to act out and find a chosen word (such as "Chalk", "Sun" and "Rat") for the next thirty minutes or so. We all had the most hilarious time, from our youngest daughter to us parents. Family games bring a lot of benefits that promote togetherness. It may take a while for your children to appreciate these benefits, especially if they are used to a steady diet of online games where there is lots of excitement and action. Family friendly games can seem rather boring after that, but persevere! Your children will appreciate your effort.